Printing error on the RDXI steelbook comes to light. In the fast-paced, intensive world of TV production, it's possible every so often for mistakes to happen. 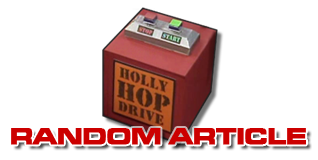 Of course, if it weren't, then we wouldn't have had the Smeg Ups tapes, so every so often it can be a good thing. 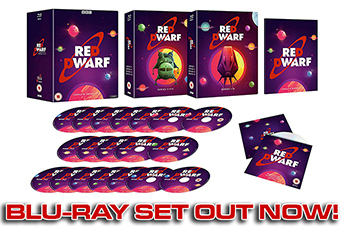 But an error that certain eagle-eyed fans have noticed in the past week on one of the Red Dwarf XI home releases... well, we'd be lying if we said it wasn't a biggie. The unfortunate error relates to the limited edition Blu-ray steelbook - the regular DVD and Blu-ray releases aren't affected - and has seen an incorrect set of episode titles printed on the exterior card sleeve in place of the familiar Twentica, Samsara et al. Our distribution partners at BBC Worldwide have apologised for this printing error, and are currently being made to listen to the Rimmer Barbershop Quartet on a loop as penance! Copies of the steelbook that have not yet been shipped to retailers are being recalled and replaced with corrected sleeves - so if you did get your hands on one in the first week of release, you should consider it a collector's item! However, if you would like a replacement cardboard sleeve with the correct titles printed on, you can obtain one by emailing DVDSupport@bbc.com. Of course, one question that we know many of you have had is what exactly these erroneous titles are all about in the first place. You'll probably be unsurprised to hear that yes, they do relate to the upcoming Series XII - but we should stress that they are not the final titles for all six episodes, nor is this the series' final confirmed running order. 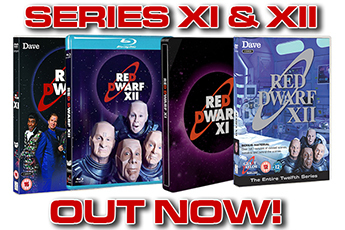 We'll bring you further news on exactly what the listing for Series XII is at a more appropriate juncture! And if you missed out on the extremely limited version of the steelbook, meanwhile, don't forget that the corrected version that will be hitting stores imminently is still itself a limited edition release - so we'd still recommend getting hold of one sooner rather than later...! 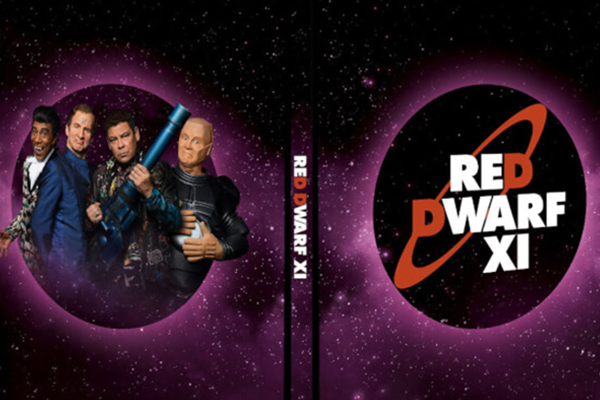 More information on the Red Dwarf XI DVDs and Blu-rays can be found in our merchandise database!